August 12 was the one-year anniversary of the devastating chemical explosion in Tianjin that damaged as many as 17,000 homes. Photographing events that took place in the past is always a challenge—one that photographer Mu Li handles with creativity and grace. Another great challenge is depicting memory: Muyi Xiao’s patient and delicate photos of an old woman are a great example of how to photograph an abstract idea. Below, we also feature Chen Liang’s painterly work from flood-stricken Hebei, Liang Yingfei’s in-depth project on the city of Guangzhou’s African diaspora, reporting on Brooklyn’s Fujianese community by Gu Xinran, and more. Beginning in May, Liang Yingfei spent four months photographing Xiaobei Road in Guangzhou, which houses the largest African community in China. A series published in three parts, the first parts focuses on Serges de la Roche, who goes by the Chinese nickname Xiaolong (Little Dragon). A Togolese businessman who has lived in China for nearly 10 years, Xiaolong has been selling a wide variety of goods—from diesel generators to gadgets—to customers in Africa. Due to the increased difficulty in obtaining a Chinese visa, he was planning to return to Togo with his Chinese wife and their two Chinese-born children. 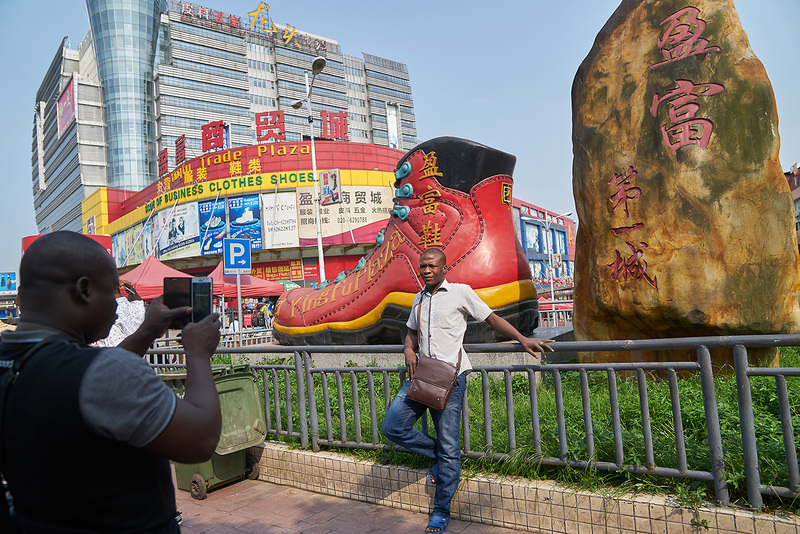 The second part of Liang’s series looks at the effect of China’s recent economic slowdown on African businesspeople and students in Guangzhou, while the final part is a collection of portraits of Africans in Guangzhou. 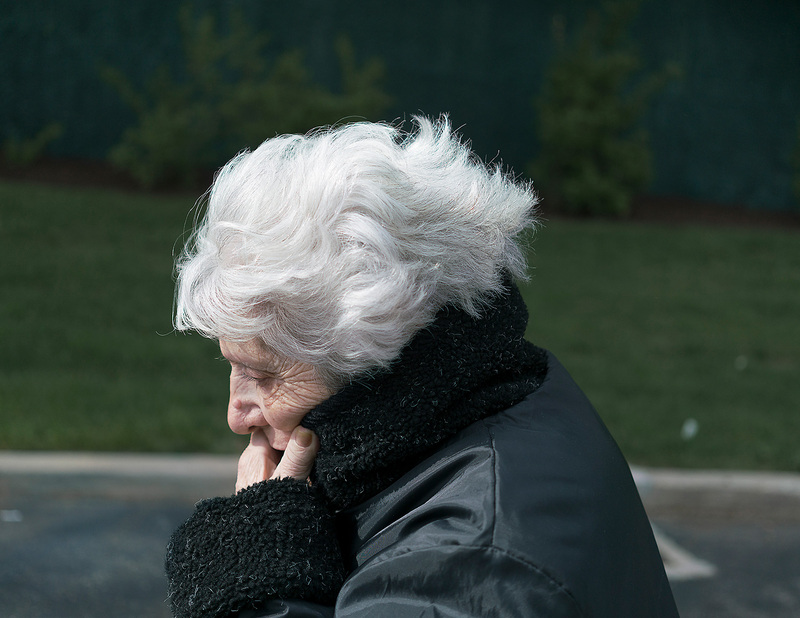 “If shared memory defines the close relationship between two people, and the memory is lost from one side,” wondered photographer Muyi Xiao, after she lost her grandmother to Alzheimer’s, “does the emotional attachment between the two still exist?” While living in New York City in 2015 and 2016, Xiao met 84-year-old Suzy (last name withheld), who suffers from Alzheimer’s, and her sister-in-law and main caretaker, Roz (last name withheld), and began to photograph their relationship. Meanwhile, back home in the city of Wuhan, Xiao asked her mother to photograph objects that reminded her of her grandmother. Xiao weaves photos of Suzy with those of the objects reminiscent of her grandmother to explore memory, loss, and love. The strictly enforced family planning policies in the late 1970s and 1980s in Jiangsu province led many families to abandon their daughters, in the hope of having a son. Now, many of these daughters are mothers themselves. Photographer Han Meng visited and photographed 15 women, some of whom grew up not knowing who their birth parents were, and some who didn’t even know they were adopted. Many have searched for their birth parents, but only a few have found them. On August 12, 2015, a series of explosions ripped through an industrial neighborhood in the metropolis of Tianjin. The explosion, which killed 173 people and damaged roughly 17,000 homes, was linked to improper industrial chemical storage, and to official corruption. On the one-year anniversary of the explosion, Hong Kong-based news website The Initium published a photo story revisiting affected parts of the city. Chinese are New York City’s second-largest foreign-born group, estimated to soon surpass Dominicans. Brooklyn’s Chinatown, less well-known than its counterparts in Manhattan or Queens, runs along Eighth Avenue, between the neighborhoods of Sunset Park to the north and Bensonhurst to the south. A Norwegian and Polish neighborhood in the early 20th century, Sunset Park is now known as “Little Fujian,” after the coastal southern province from where many immigrants hail. 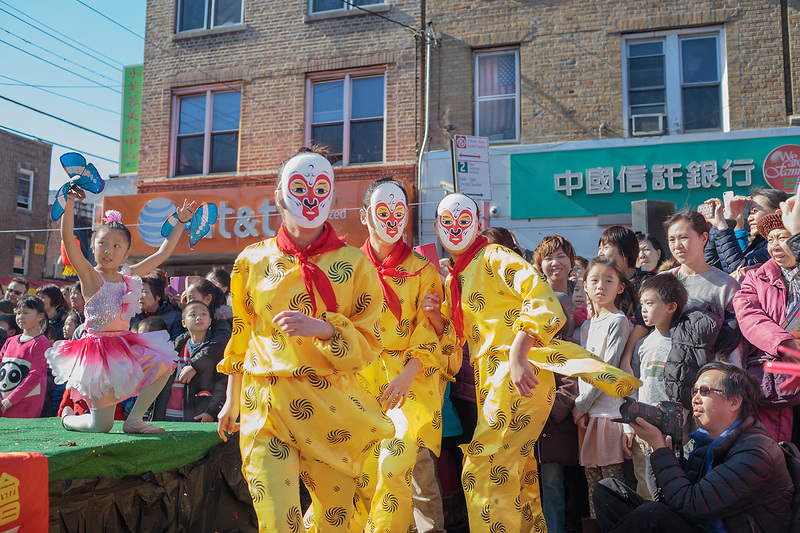 As part of a long-term project photographing Fujianese immigrant communities in the United States, Gu Xinran photographs life in the neighborhood, from birthday celebrations to ballet practice. 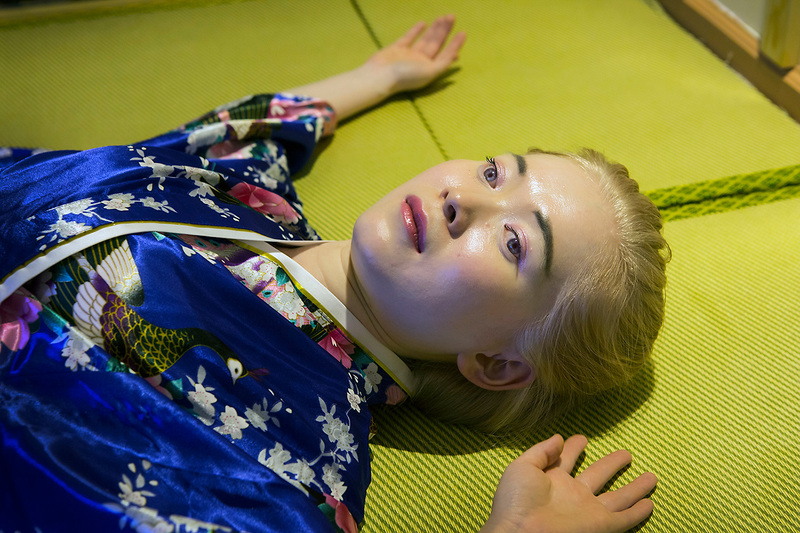 Liu Yin is a 32-year-old albino Chinese woman who goes by the nickname “Cici,” after the 1950s Austrian movie character Princess Sissi. When photographer Lijie Zhang met Cici in 2015, she had already been photographing people with rare diseases in China for several years. The two began a series of staged portraits in which Cici chooses her outfits and locations. Cici also writes the captions for each photo, explaining her thoughts and ideas behind each pose. Zhang’s work is part of a series called Female Focus. An estimated 173 million people in China suffer from mental disorders, according to a 2012 study in the British medical journal The Lancet, and among them, one million have serious mental illness. In 2011, a car accident left photographer Zhang Xinmin suffering from sleep disorders and mild depression. While undergoing psychiatric treatment at a hospital in the western Chinese city of Karamay, Zhang obtained permission from the hospital, patients, and patients’ families to publish these images. 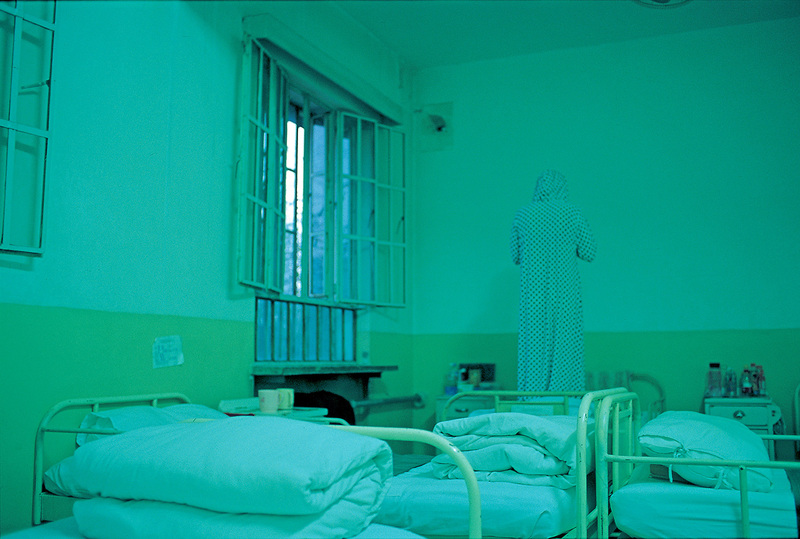 Zhang’s images capture the painful, private, and sublime scenes of the hospital, where a camera becomes a mirror. The village of Taitou in central Hebei province was hit hard by flooding in mid-July, following days of heavy rain. Photographer Chen Liang visited after the floodwaters had receded. Mud and dirt covered everything and vegetation and mold on the walls revealed the high-water marks where standing water had leveled off. In one disorienting image, a ceiling fan looks as though it is resting on a tile floor—until the viewer realized that the mud and water marks left from debris had reached the ceiling. 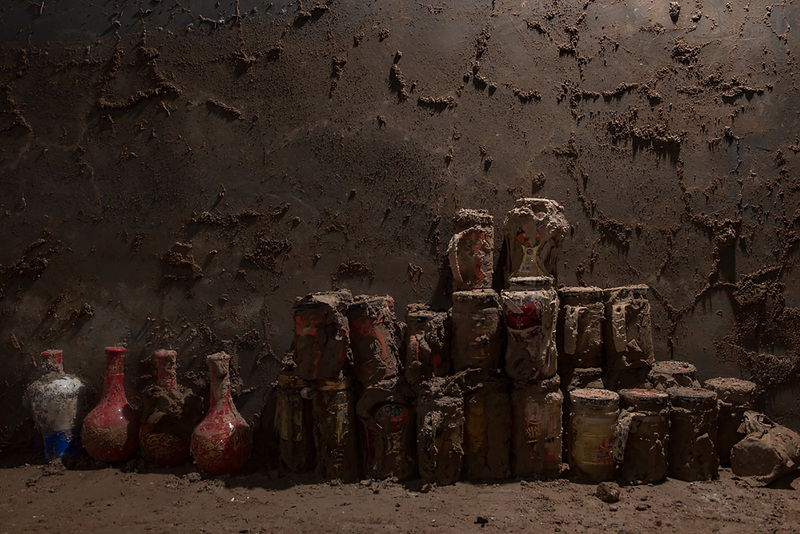 While the village may eventually recover, Zhen’s images have the feeling of a Chinese Pompeii. Sara Jane Ho is the founder of Institute Sarita, a Chinese version of a Swiss finishing school. 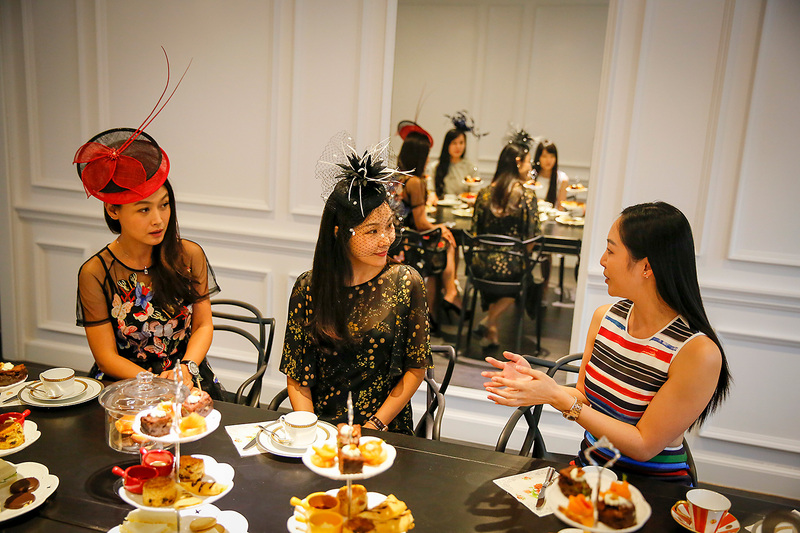 A Hong Kong native and Harvard Business School graduate, Ho opened her institute in 2013, teaching Western etiquette to the country’s nouveau rich. Her school offers a U.S.$1,200 two-day course and a 10-day course for U.S.$12,000 that include lessons on such skills as how to correctly use Western cutlery and how to pronounce the names of designer brands like Christian Dior. Dubbed Beijing’s Miss Manners, Ho is out to combat the bad publicity the first modern generation of wealthy Chinese get for gauche behavior. While most Chinese who migrate to the coast do so to improve their economic situation, some do so solely for better medical care for sick family members, and many end up nearly bankrupting themselves in the process. 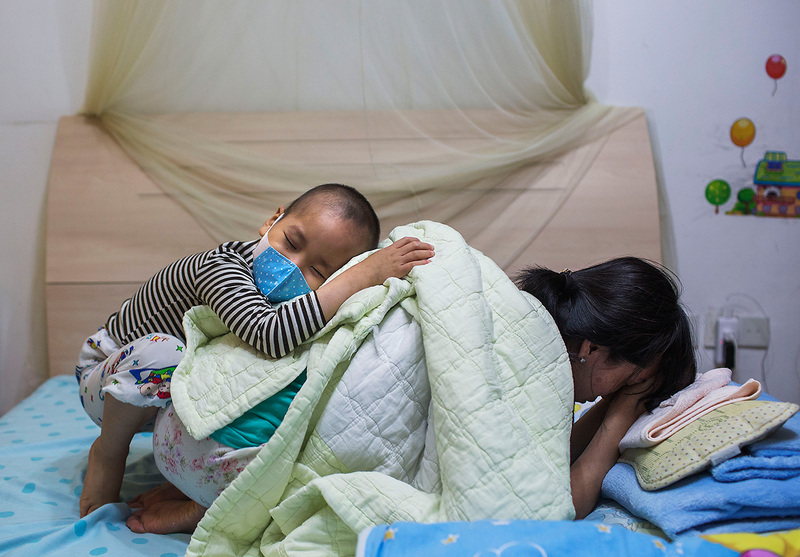 Photographer Wu Yue followed six families with children afflicted with leukemia seeking treatment in Shanghai’s hospitals. 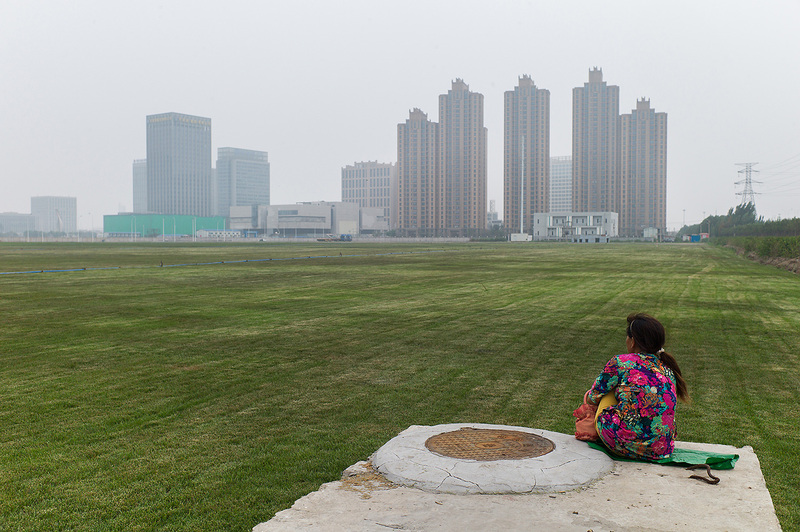 She photographed and wrote about how these families faced medical bills of millions of yuan. To help their children, these parents sometimes took jobs as full-time caretakers for others, while their financial safety nets gradually disappeared. 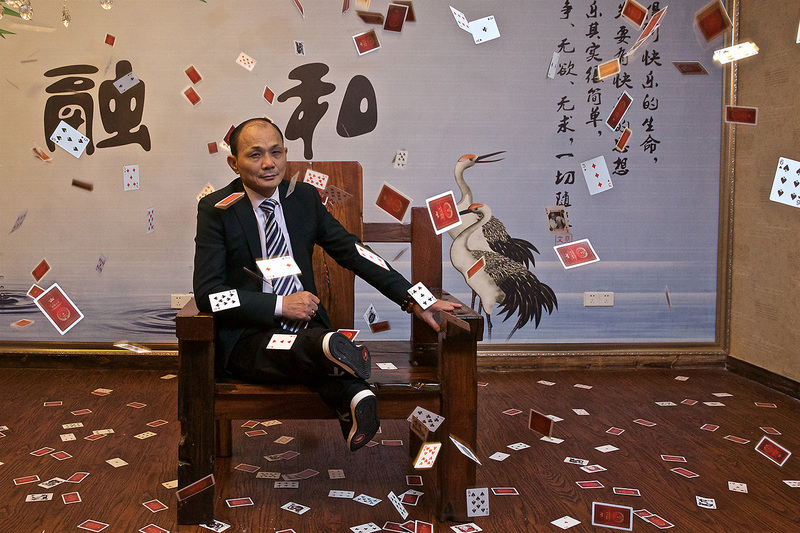 In 1993, Yao Jianyun lost three fingers and both legs below the knees when a group of businessmen took revenge on him for cheating at cards. Following the incident, the former gambler from Jiangxi province spent almost a decade wallowing: he separated from his wife, and for years, rarely left his apartment. Eventually, Yao got his life back together: he remarried, and today he tours the country giving speeches and teaching people how to spot gambling scams like the ones he used to concoct.